- I never have to decide which red, blue or yellow to use. - A limited palette guarantees harmony throughout the painting. - There are less paints to buy. - Beginners to oil painting find it far easier and less confusing when working with a limited palette. 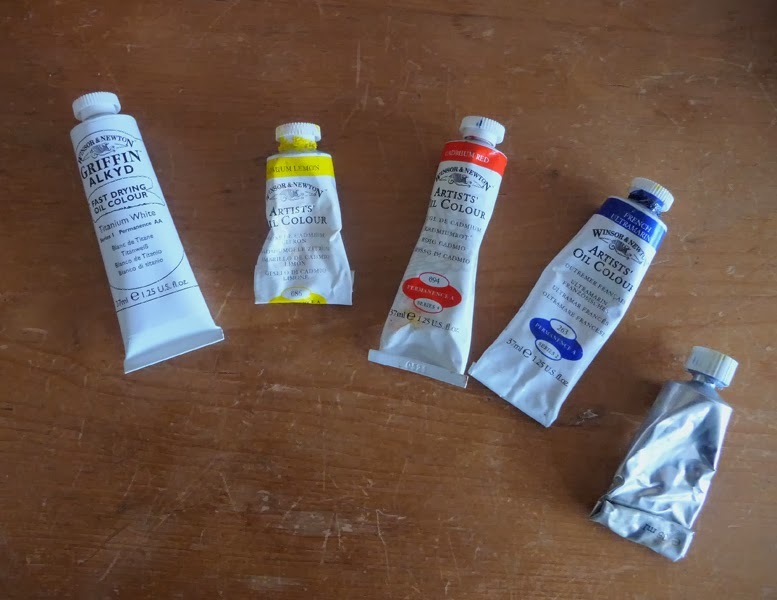 Cadmium Yellow, Cadmium Red, Ultramarine Blue and 'Alkyd' Titanium White. 'Alkyd' colours can be mixed with traditional oils and have the advantage of speeding up the drying process. Occasionally, I expand the palette by introducing; Cadmium Yellow, Alizarin Crimson and Cerulean Blue. I usualy save unused paint by mixing it all together into a series of 'greys' and then putting it into empty tubes, which are available from Cornelissen and Son. 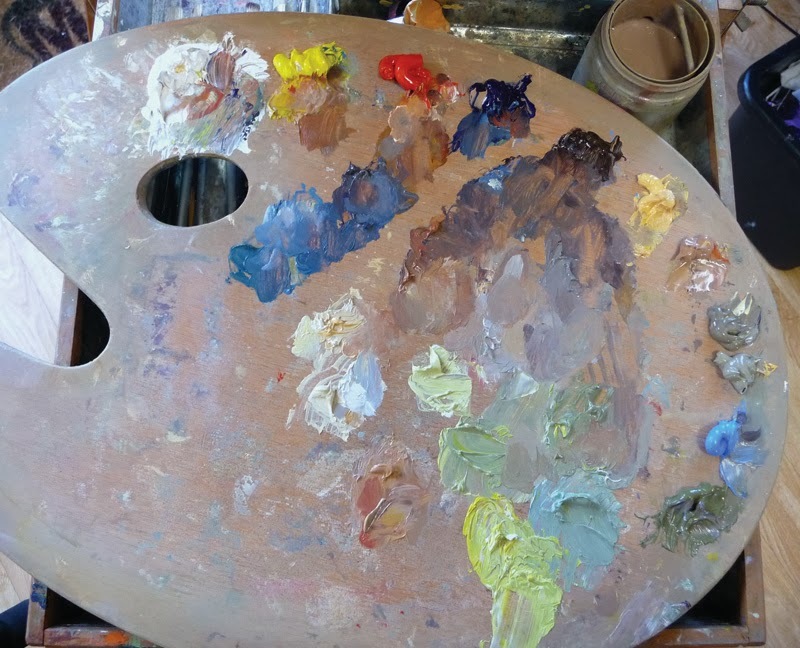 These 'greys' are extremely useful for quietening down mixes to produce wonderful muted colours, as shown on my palette above.